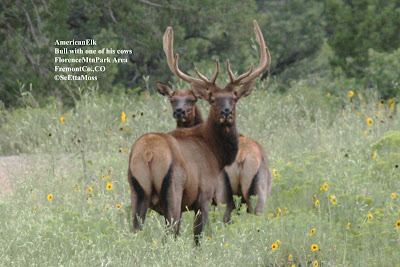 While birding with the birder from Virginia, we found this nice herd of American Elk. All the cows in this "harem" belong to this bull who will guard them and fight off competitors during the "rut." The elk were vocalizing and the bull had begun some bugling that we heard.